As it turns out, bizarre tear-filled appearances on morning shows don't go over well with sponsors, especially when your racist past has recently come to light. On Wednesday, hours after her interview on The Today Show, Paula Deen lost three more corporate partners: Caesars Entertainment, Home Depot, and Wal-Mart. "We are ending our relationship with Paula Deen Enterprises and we will not place new orders beyond those already committed,” a Wal-Mart spokesperson said. “We will work with suppliers to address existing inventories and agreements." Caesars Entertainment issued a similar statement. "While we appreciate Paula's sincere apologies for statements she made in her past ... we have mutually decided that it is in the best interests of both parties to part ways at this time," said Jan Jones Blackhurst, executive vice president of communications and government affairs for Caesars Entertainment. NBC News talked with a spokesperson from Home Depot who confirmed that the company would stop carrying Paula Deen-branded items. 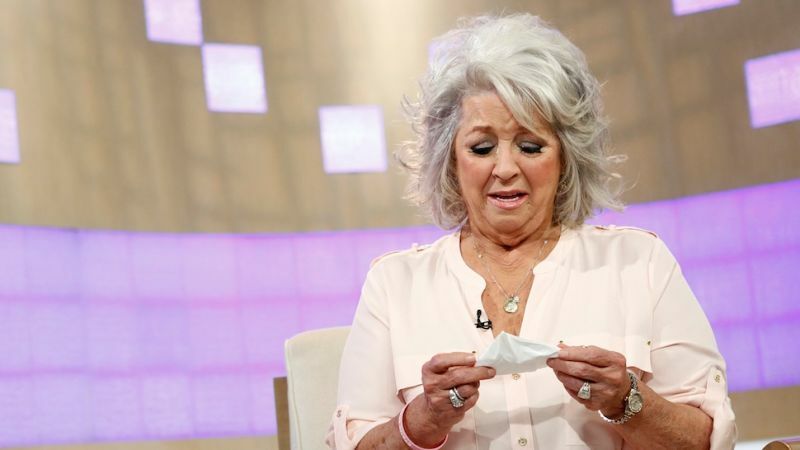 Target, who also carries Paula Deen products, said they are "evaluating the situation." Today's announcements come two days after pork-producer Smithfield Foods ended their relationship with Deen, and five days after the Food Network announced that it would not renew Deen's contract.